On July 10, 2018, the Canadian Consumer Specialty Products Association (CCSPA) held a meeting with Environment Canada & Climate Change Canada (ECCC) concerning volatile organic compounds (VOCs). Representing ECCC was Tracey Spacek, Mary Ellen Perkins, Marie-France Nguyen, Joe Devlin, and Rasha Abu-Meizer and Mohamad Najibeddine. ECCC had a proposed regulation that was published but never finalized. 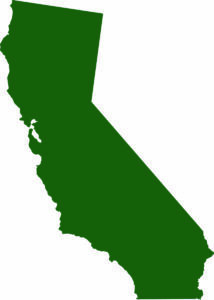 Now, eight years later, ECCC is proposing to publish final regulations on Consumer Product VOC regulations that will mirror the current California Air Resources Board (CARB) regulations; Mary Ellen Perkins is the lead for the ECCC on this project. Its time frame is to publish the final regulation in the next year and have the regulation enforced in two years. All of the current categories and limits will be in the regulation except for the windshield washer limit and the future effective limit for Multi-purpose lubricant, which will be at 25%. Most of the meeting was spent discussing the need for regulations and the cost. Industry tried to explain that going from no regulation to the strictest regulations in the world for VOCs will likely harm or impact Canadian manufacturers the most. Industry proposed a two-tier set of limits—one using limits that are not as stringent as the final limits that will be enforced in two years. ECCC did not appear to be receptive to this type of approach. Industry has gone back to the ECCC asking that a proper survey be conducted, as it does not appear to have the information needed to purpose a realistic VOC regulation. Industry will continue to work with ECCC to come to an agreement on a Consumer Products VOC regulation. The aerosol industry needed to respond to the California Air Resources Board (CARB) survey information that had been released earlier this year concerning survey data from 2013 and 2014. If you submitted data to these surveys, you should review all of the documents to see if the information appears correct. With the large amount of information that was gathered, this is a difficult feat. CARB wanted the information by Aug. 1 and will continue to update this data throughout this fall 2018. Currently, CARB staff is working on finalizing the 2015 survey data. This should be released this fall.